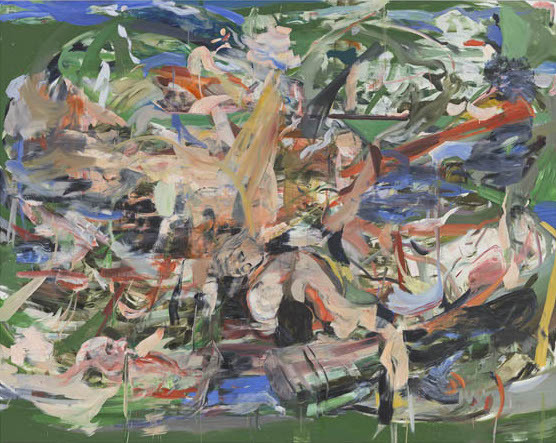 Jason Rosenfeld interviews painter Cecily Brown on the occasion of her recent exhibition A Day! Help! Help! Another Day! at Paula Cooper Gallery, New York. Brown observes: "It would be ironic if this horrible period in our history was producing really good art, for a change. I’m uncomfortable talking about something too specific to my time because obviously one of the pleasures of painting—or why painting lasts is because it’s not too much stuck in its own time. The funny thing about painting—I don’t think it dates as much as older art. It might not feel as up to the minute, but it also doesn’t look old as quickly. Hopefully a good painting looks just as good in thirty years."